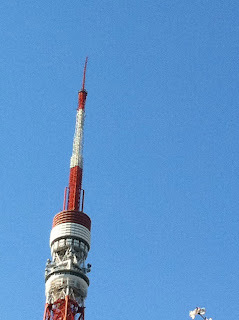 Damaged during the quake, Tokyo Tower's wonky antenna tip. We have been back in Tokyo for a few days and I am pleased to report that things seem to be pretty normal, albeit the new normal. We have only felt one earthquake and that was while we were at baggage claim the other day at Narita. The building shook quite strongly. At first I thought it was just another jumbo jet coming in for a landing. But I quickly remembered that jets don't make the building jump and then I heard airport personnel asking everyone to crouch close to the ground. I wish I had taken a picture. It was quite a welcome home. We found our apartment completely as we left it. Though a few pictures were askew, there was no additional damage despite the many aftershocks that continued after our departure to the US. The girls are adjusting to their early schedule. Designed to dodge the planned electricity black outs (have there actually been any? ), the school bus leaves at 6.50 am. Though we miss touring Chicago, Pippi and I continue to enjoy our morning walks. The shops have plenty of food, the petrol stands have plenty of gas and people are out and about. True, milk and bottled water are being rationed. But we are Litvak seltzer drinkers and there is no limit on San Pellegrino. Yet something is fundamentally changed. Despite its continued cleanliness and relatively crime-free streets, Japan no longer feels entirely safe. But in a completely different way. Despite Japan's restored orderliness, chaos feels much closer than before. Just look at those decimated townscapes in Tohoku -- an area we enjoyed touring on several occasions and I have written about professionally. And we now know what Tokyo feels like when infrastructure elements we took for granted shut down and the city all but grinds to a halt. Though stories about radiation levels occupy journalists, the threat of more earthquakes bothers me more. I no longer regard those tremors as benignly as I cavalierly once did. 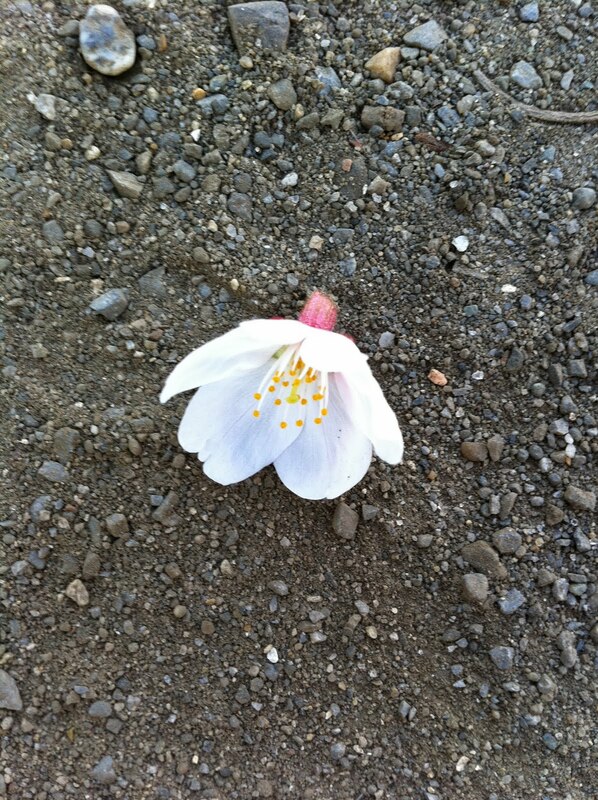 I look at the cherry blossoms now peaking and their breathtaking beauty is countered by first hand experience of nature's overwhelming, destructive power. All of these realizations contribute to a profound and pervasive sadness that was not there before. When I meet friends for the first time, I see worry in their faces. Our initial conversation all pertains to the earthquake. How could we possibly talk about anything else? The caretaker who cleans the public spaces in our building thanked me for the help the US government and armed forces have provided to the nuclear situation. Very poignant. Accompanied by a deep bow. Among my foreign friends, a little gallows humor temporarily relieves the incumbent stress. Even with complete strangers, the subject is the first to come up. 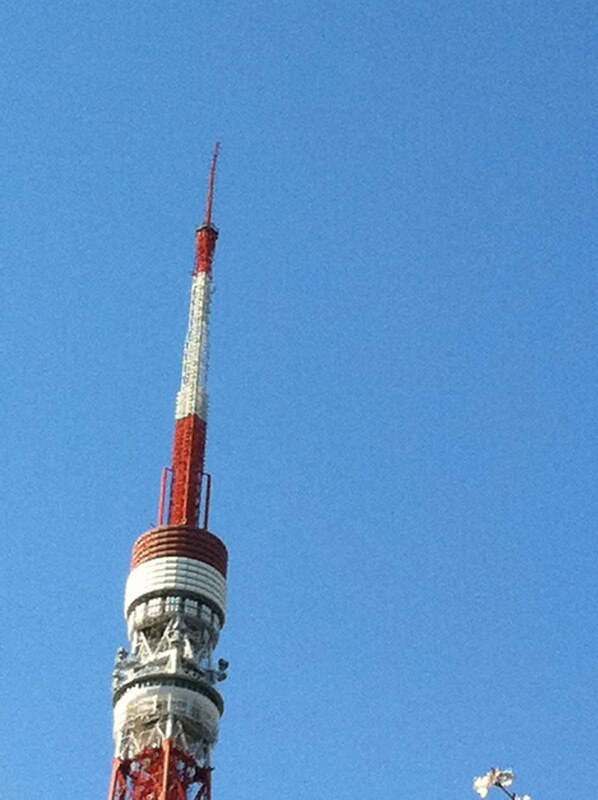 A taxi driver asked whether I was leaving Tokyo and returning to my home country. He thanked me profusely when I told him that I left and came back. Though we are removed from the devastation up north, it is hard not to replay those scenes in one's mind and think about the loss that so many are suffering. Those images are always in the back of my mind. I am searching for a meaningful way to help. 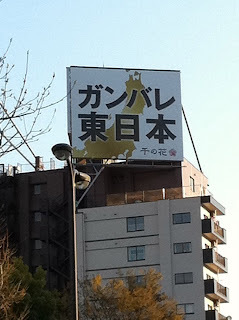 Gambare, Higashi Nihon! Hang in there, Eastern Japan!